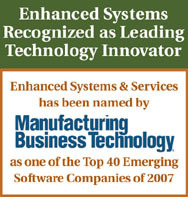 The materials and information found in the Enhanced Systems & Services, Inc. (hereafter referred to as ESS) website are provided for convenience and informational purposes only. They are not warranted or guaranteed to be correct, complete, or up-to-date. The materials and information could include technical inaccuracies and typographical errors, and you should not act or rely on any information in the web site without independently investigating the accuracy and completeness of the information presented. This Web site may contain other proprietary notices and copyright information, the terms of which must be observed and followed. By furnishing information, ESS does not grant any licenses to any copyrights, patents or any other intellectual property rights. ESS expressly disclaims any and all liability for damages, direct or consequential, arising out of the use of the information contained in its Web site or any other referenced Web link. ESS makes no representations about the suitability of the materials or information contained in its Web site for any purpose. Information may be changed or updated without notice. ESS may also make improvements and/or changes in the products and/or the programs described in this information at any time without notice. All such information and content is provided "AS IS" without warranty of any kind or type without limitation. ESS hereby disclaims all warranties with regard to such information, including but not limited to, all implied warranties, warranties of merchantability and fitness for a particular purpose. ESS does not want to receive confidential or proprietary information from you through our Web site. Please note that any information or material sent to ESS will be deemed NOT to be confidential. By sending ESS any information or material, you grant ESS an unrestricted access to those materials or information, and you also agree that ESS is free to use any ideas, concepts, know-how or techniques that you send us for any purpose. However, we will not release your name or otherwise publicize the fact that you submitted materials or other information to us unless: (a) we obtain your permission to use your name; or (b) we first notify you that the materials or other information you submit to a particular part of this site will be published or otherwise used with your name on it; or (c) we are required to do so by law.